An ancient wizard chooses a teenage foster kid as his worthy champion, giving him superpowers to keep the seven deadly sins from wreaking havoc on earth. It's no secret that the DCEU got off to a bit of a rough start. Warner Bros. and Zack Snyder were so busy trying to replicate what Christopher Nolan did with his "Dark Knight" series that they lost sight of the internal spirit which made so many of these characters great. Not every character has to be Batman. Lately, it appears Warner Bros. has started to get their feet back under them, and they seem to be hitting their stride. Will "Shazam!" continue with that same momentum, or will it fall flat on its face? This latest addition to the DCEU is directed by David F. Sandberg, who is known for making films such as "Light Out" and "Annabelle: Creation." It is written by Darren Lemke ("Goosebumps") and Henry Gayden ("Earth to Echo") and is based on the comic book created by Bill Parker and C.C. Beck. The story begins with the ancient wizard Shazam (Djimon Hounsou) scouring the earth for a worthy champion to protect the planet from the seven deadly sins. Shazam rejects many candidates, and one such rejected soul, Dr. Thaddeus Sivana (Mark Strong), has been determined to get his revenge by unleashing the trapped seven deadly sins upon the world. As Sivana puts his plan in motion, Shazam finally finds his champion in a teenage foster kid named Billy Batson (Asher Angel), who seems like an unlikely candidate due to the fact he regularly gets in trouble with the law. 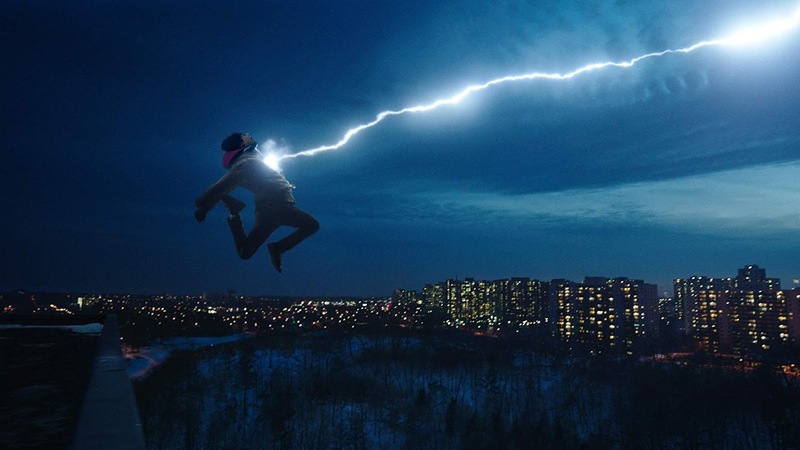 Still, Billy is granted the powers of Solomon, Hercules, Atlas, Zeus, Achilles, and Mercury, and is turned in to the champion Shazam (Zachary Levi). Billy/Shazam must now learn to use his new powers and do what's right before Dr. Sivana and the hellish seven deadly sins destroy everything. 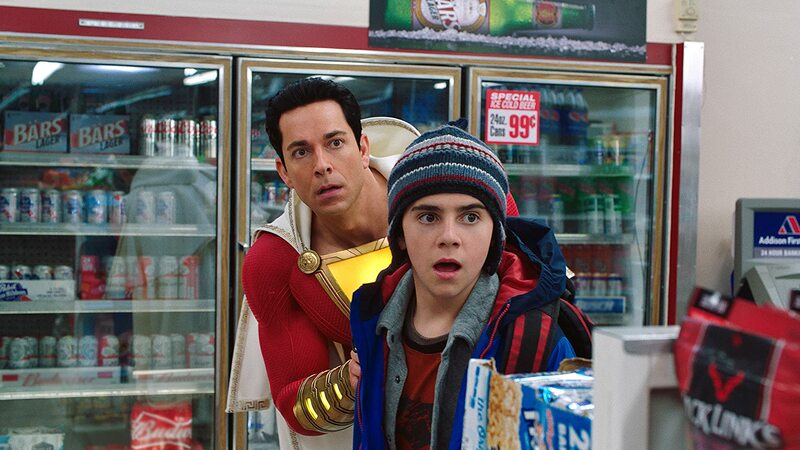 Warner Bros. has been handing their superhero films to horror movie directors as of late, and this strategy seems to be working out for them exceedingly well because "Shazam!" is an absolute blast and is endlessly entertaining. It might be just another superhero origin story, but we've never seen this character on the big screen before, so we don't mind getting to know him. We feel like this film totally does the character justice. Billy Batson is very relatable in that he is just your average kid. He doesn't come from power or wealth or prestige, and he's been dealt a pretty crappy hand in life. Billy has never fully experienced that sense of family, friendship, and belonging that humans crave so desperately. That may slowly change once he meets his new foster family, including Freddy Freeman (Jack Dylan Grazer), Darla (Faithe Herman), Mary (Grace Fulton), Eugene (Ian Chen), Pedro (Jovan Armand), Rosa (Marta Milans), and Victor (Cooper Andrews). When Billy is given almost unstoppable abilities, he may look like an adult on the outside and have immense powers, but he's still just a kid and does what many kids would do in his situation (like goofing off while learning his way around his skills, using his new adult looks to buy beer for him and Freddy, taking selfies in the park with adoring fans, etc). That's part of what makes this movie so fun. It's also super hilarious! The script is full of meta jokes that made us laugh more than any 2019 film thus far. At the same time, it's actually very touching as we get see Billy grow as a character as he learns to not only have concern for others but to start caring for people other than himself. It's a simple character arc, yes, but to us, it was extremely effective. 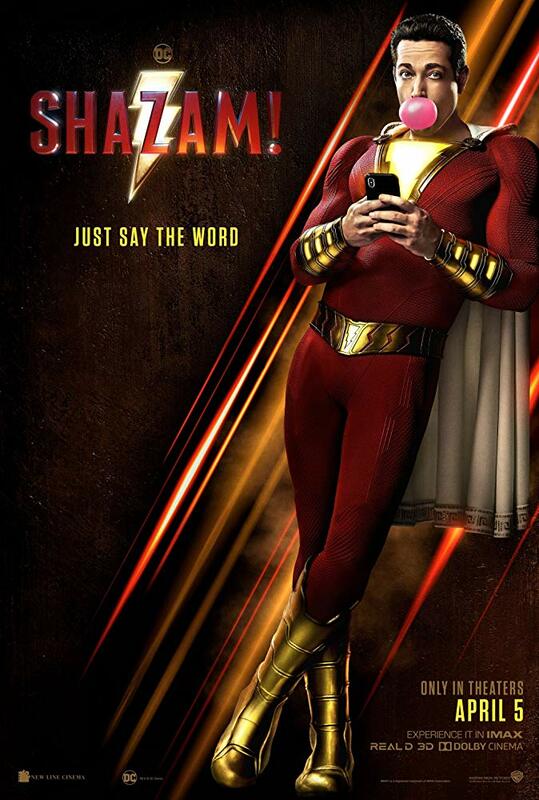 Almost all of the credit goes to Zachary Levi, who is fantastic as Shazam. What perfect casting! Levi does a marvelous job playing a kid trapped in adult superhero clothing/physique/voice. He has excellent delivery and great comedic timing. That being said, we do feel that Dr. Sivana, the villain of the story, is as a little underdeveloped despite being played well by Mark Strong. Sivana gets a bit of a back story that drives his motivation, but he still ends up feeling a bit generically maniacal. Still, this didn't hurt our overall enjoyment of the film. Much like "Aquaman" was with James Wan in the director's chair, fellow horror movie maker David F. Sandberg brings in some darker, more frightening moments that may be a bit much for younger viewers. Some people may not like this tonal shift, but we didn't mind it. "Shazam!" is an amazingly fun flick and is one of our favorite major studio releases so far this year. It is definitely a movie worth checking it out.